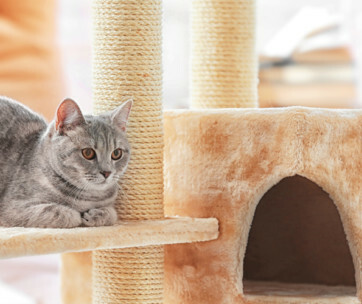 One of the best ways to manage your messy cat litter is to hide it in some structure. 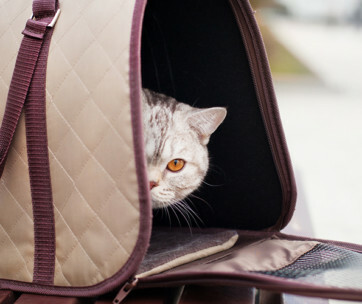 Instead of keeping it under your stairs or in an enclosed space in your house, you’ll have a much better chance of keeping it secured inside the Cat Washroom Bench. 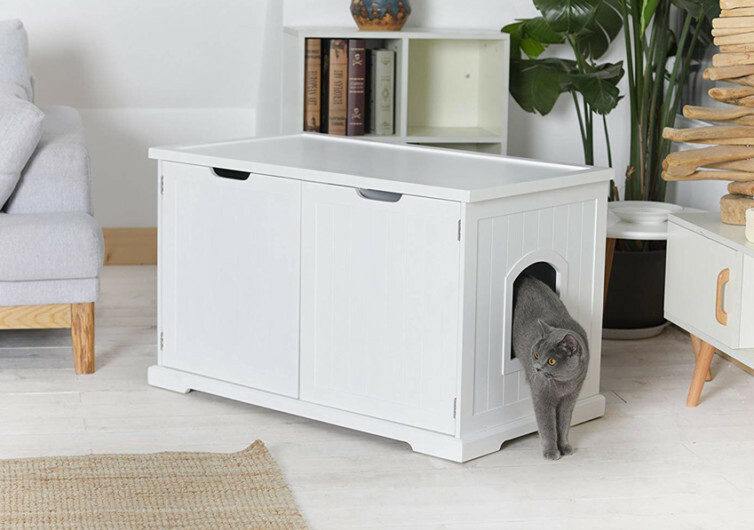 It’s a piece of furniture that really doesn’t look like a cat litter management system, but it is. The design of the Washroom Bench comes with optimum versatility in mind. 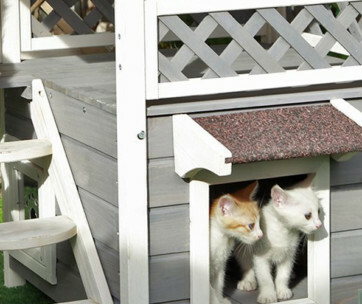 It is spacious enough to hold standard litter boxes, even fully automated ones. 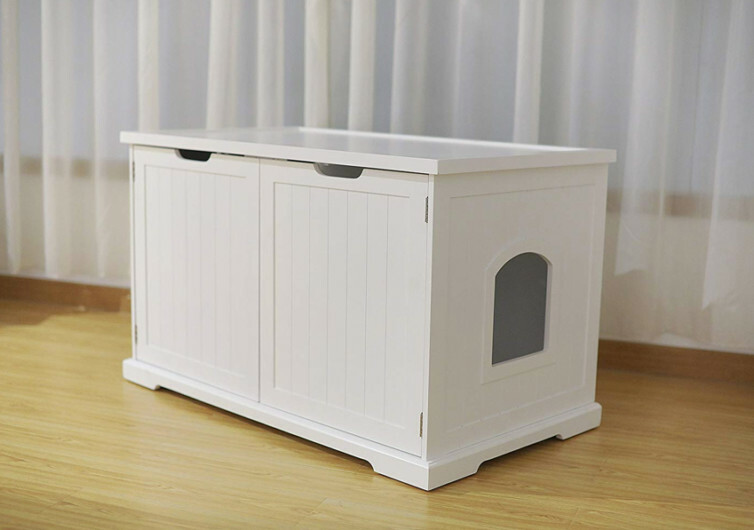 This way you can conceal your pet’s messy commode from full view, giving your home that much-needed aesthetics that would otherwise be detracted by the presence of a cat litter box on your floor. Opening the doors of the Washroom Bench is super easy; closing it and keeping it that way is even easier with the integration of magnetic components. It easily snaps shut and stays so until you swing it open again. 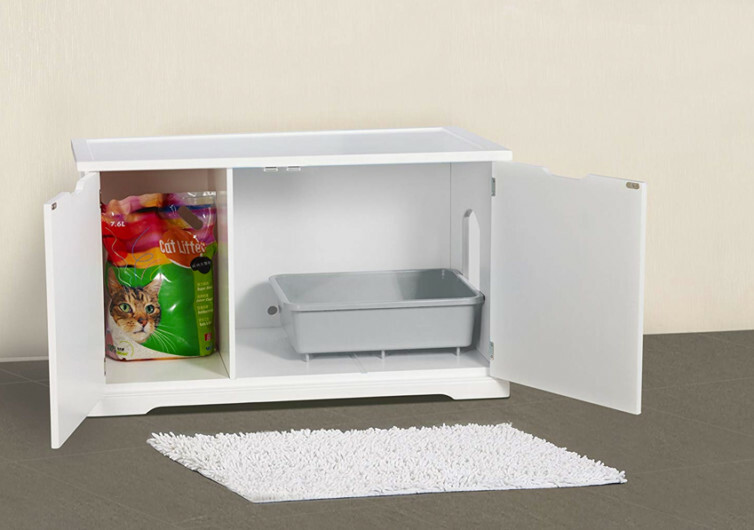 Inside the cavern is a removable partition allowing you to turn the Washroom Bench into a neat storage cabinet for all of your kitty’s stuff including a bag of dry pet food, toys, and what have you. 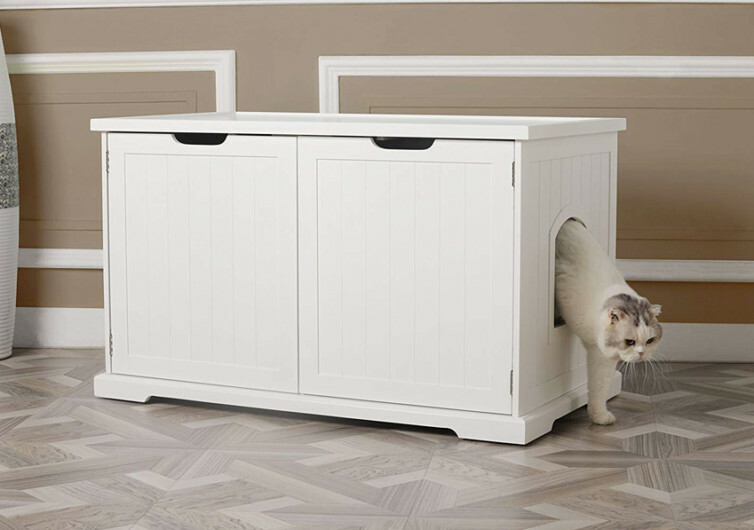 This is in case you don’t want to use it as a concealment system for your cat’s litter box. 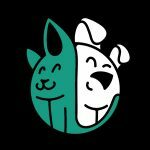 Built of sturdy materials, the Washroom Bench can hold up to 80 pounds of furry pals, litter box, and other implements. The entrance can be removed and installed on either side of the furniture, granting absolute versatility in the placement of the Washroom Bench. There’s even a precut hole with which you can use to pass through the power cable of your electric or automatic litter box. The Cat Washroom Bench is not just for concealment; it’s one way to improve your home’s aesthetics.